tax issues outside the limited scope of this opinion, the article was not written, and cannot be used by the taxpayer for the purpose of avoiding penalties that may be imposed on the taxpayer. Taxes for gamblers is a complex area. There is no such thing as 'one size fits all.' Here, though, are my top ten tax tips for gamblers. 10. The Tax Court recently made a very positive ruling for all gamblers. In Castagnetta v. Commissioner (T.C. Summary 2006-24), the Court held that non-professional gamblers can, in some instances, deduct other expenses incurred while gambling. These expenses include ATM fees, office supplies, and admission fees. The Court also held that a professional gambler does not have to be solely engaged in gambling. That has been the position of the IRS in various appeals cases. Instead, the Tax Court said that gambling must be, "the intended livelihood source...[and pursued] for income or profit." Unfortunately, this is a Summary Opinion and is not precedential. However, it does indicate how the Tax Court would likely rule in similar cases. 9. The IRS doesn't believe there's such a thing as a professional gambler. It's part of their mindset. Even though the US Supreme Court held that you can be a professional gambler in Commissioner v. Groetzinger (480 U.S. 23 (1987)), most of the personnel in the IRS still hold this view. It will take many years before this changes. That doesn't mean you shouldn't file as a professional; rather, you should be aware that filing as a professional increases your chance of audit. 8. You might pay more tax filing as a professional gambler than an amateur. Professional gamblers must pay self-employment tax (social security and Medicare) on their net profits while amateurs don't. 7. You can't switch back and forth between being a professional and an amateur every year. Once you become a professional, you've made a career decision. You can switch, but expect trouble (audits) if you switch back. 6. You can't net gambling wins with gambling losses unless you're a professional. This is straight from the Tax Code. The Tax Code is law (Title 26, U.S.C. ), and can only be changed by Congress. If you net your gambling results and you're caught in an audit, expect to pay penalties and interest. Why is this important? Gambling wins go on line 21 of Form 1040 (Other Income), and change Adjusted Gross Income (AGI). AGI is used to calculate limitations on many deductions, including student loan interest, medical deductions, and itemized deductions. Even if your net gambling income is $0, you could find your tax increase because you lose some deductions. 5. Live In the Right State. Not only do Americans have to pay federal income tax, most have to pay state income tax. Of course, if you live in Nevada, Florida, Texas, Alaska, South Dakota, or Wyoming you don't have to pay state income tax. New Hampshire and Tennessee tax only dividends and interest. Some states have very high income tax rates, such as California and New York. If you live in one of these states, you're more likely to face the Alternative Minimum Tax (AMT). Other states have income taxes that do not allow deductions for gambling losses. These states include Connecticut, Illinois, Massachusetts, and Ohio. If you live in one of these states, you face a gross receipts tax on your gambling wins even if you're an overall loser. So if you are going to gamble, choose your state wisely. 4. You must report your gambling wins by session. That's the law. So, what is a session? You can find an article I've previously written on this topic here. 3. 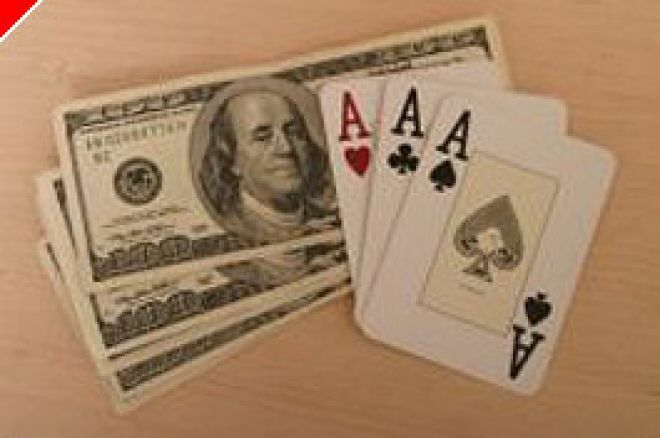 The rules that apply to gambling in brick and mortar casinos apply to gambling on the Internet. This means that when you win a bet from an offshore casino, it's income. If you try to tell the IRS that the money's in Gibraltar, expect a chuckle from the IRS agent you're dealing with. The United States taxes all income earned anywhere in the world. To prevent double taxation, you can deduct foreign taxes you pay (either as an itemized deduction on Schedule A or as a tax credit on line 47 of Form 1040). 2. If you have a Neteller or similar account with $10,000 or more at any time during 2005, you must report it to the government. You do this by checking a box on Schedule B of Form 1040 (and listing the country/ies) and by filing Form TD F 90.22-1 with the Department of the Treasury (not the IRS). It's almost certain that if you do this you will be audited. The $10,000 rule is based on all such accounts on any one date. At this time, it's unclear whether Internet cardrooms are reportable under this rule. 1. If you're going to file as a professional, or you have any complexities on your return, see a professional tax preparer (an Enrolled Agent (EA), Certified Public Accountant (CPA) who specializes in taxes, or a tax attorney). We're not that expensive, and if you're a professional, you'll likely be able to fully deduct the expense as an accounting/professional expense. Everyone's situation is different. What is right for one person may be wrong for another. Just because you can file as a professional gambler doesn't mean you should. A tax professional will look at the totality of your situation and give appropriate advice. In closing, you get what you pay for. Tax software is wonderful in putting the numbers you enter exactly where you enter them. Tax software won't make math mistakes. Tax software is ideal for simple returns. But if you have any complications on your return, the money you save not getting competent professional help you could lose by not getting all the deductions your entitled to. And if you're thinking about not paying your taxes, ask Richard Hatch about the wisdom of that course of action.